They love hard-boiled eggs? They must love balut! It wasn't that long ago when Riverdale star Cole Sprouse visited Manila and actually went around the city—Divisoria and Poblacion, to be exact! The actor won people over when he posted photographs of his quick trip. While his Pinoy fans are holding on to his statement about coming back to the Philippines, there's someone taking it one step further and going as far as to say that Sprouse and his co-star KJ Apa are actually Filipino. For "Filipino Investigator" Tom dela Cruz (whom you might recognize as stand-up comedian Victor Anastacio from those O Shopping ads), every Netflix talent is really a Filipino. And he's willing to prove it on Netflix Philippines' social-media series called Secret Filipino Files. In the first episode of the series, dela Cruz starts by asking Sprouse and Apa seemingly mundane questions, like what fans can look forward to on the third season of Riverdale (which we also got to ask the rest of the cast, btw). 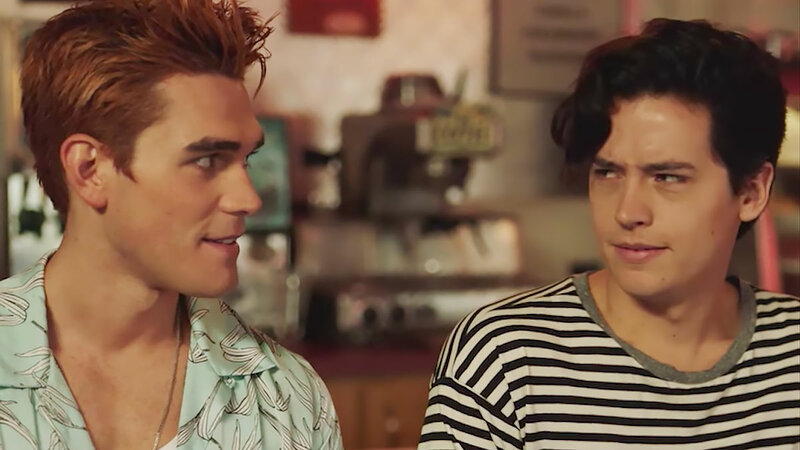 Apa says that Archie "starts off the season in court for the murder of Cassidy Bullock" while Sprouse answers that Jughead "is dealing with the Serpents now that he has obtained the leadership role." With his not-so-fool-proof clues, dela Cruz comes to a solid conclusion and tells Sprouse and Apa, "You are Filipinos, beyond resonable doubt!" to which the two actors celebrate.